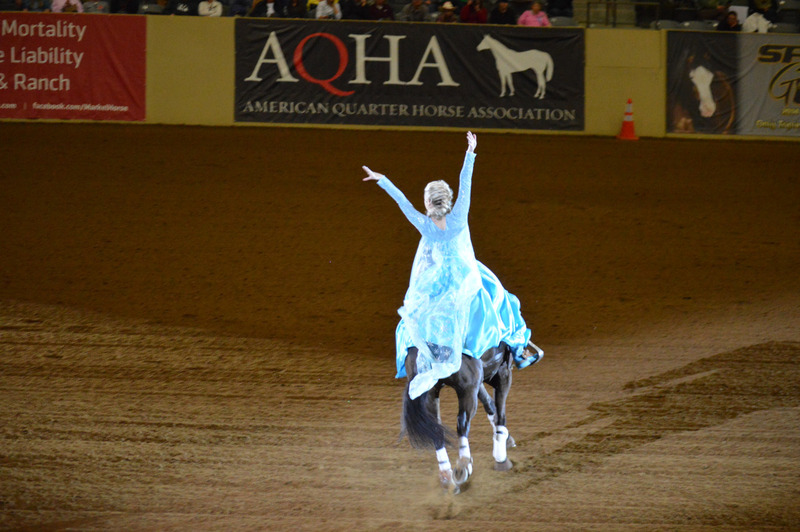 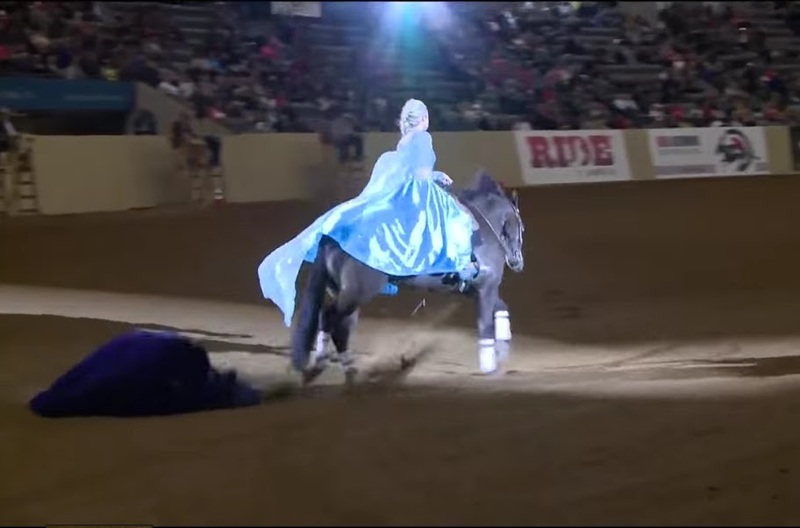 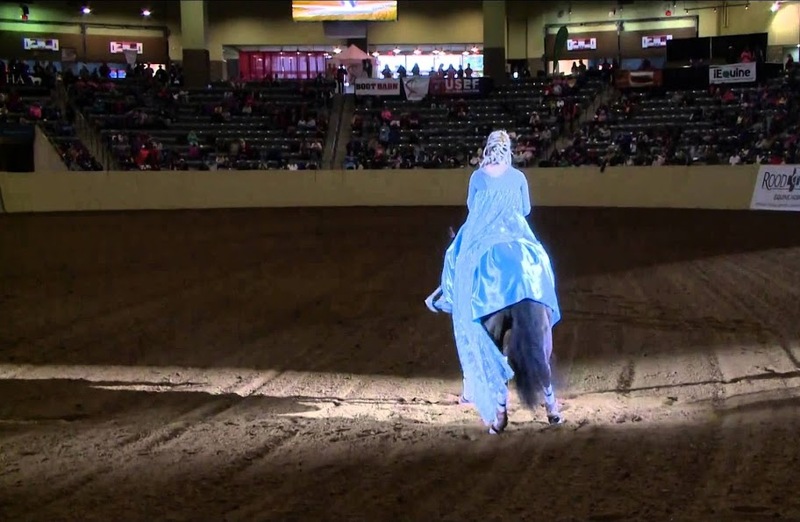 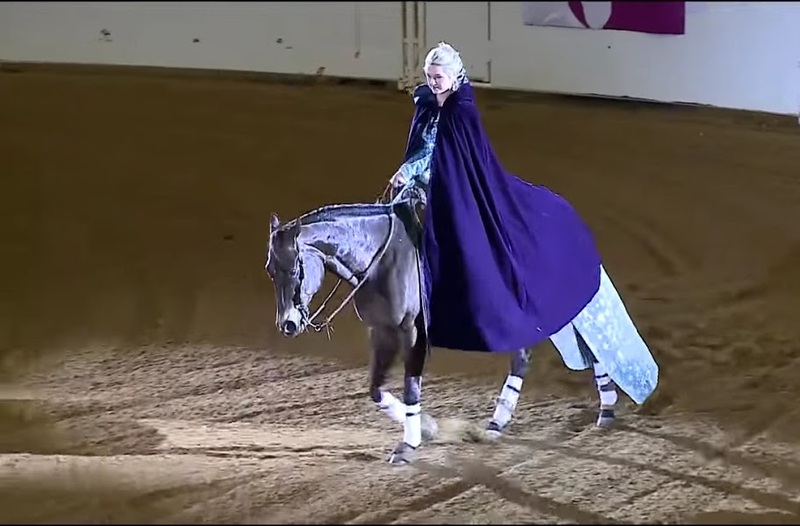 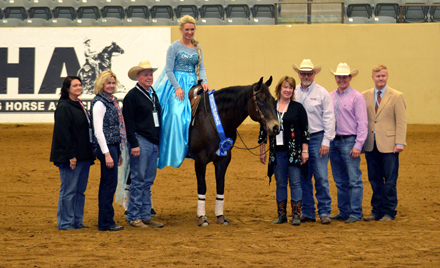 During the 2015 Kentucky Reining Cup, an annual event that showcases the abilities of ranch horses to deal with their riders, 23-year-old Laura Sumrall and her awesome horse “Wimpys Top Model” showcased a remarkable Frozen-inspired performance to the tune of “Let It Go”. 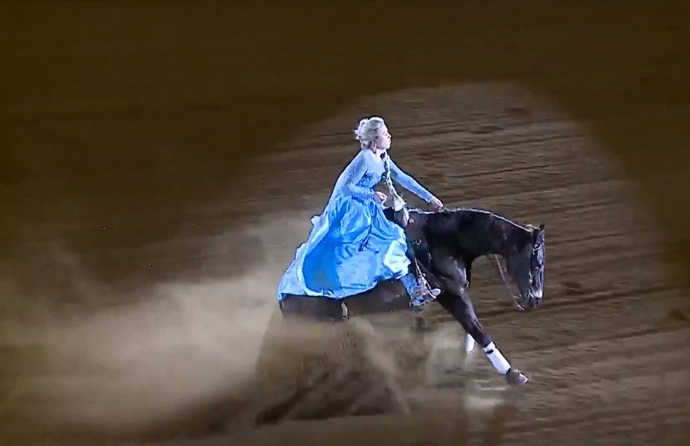 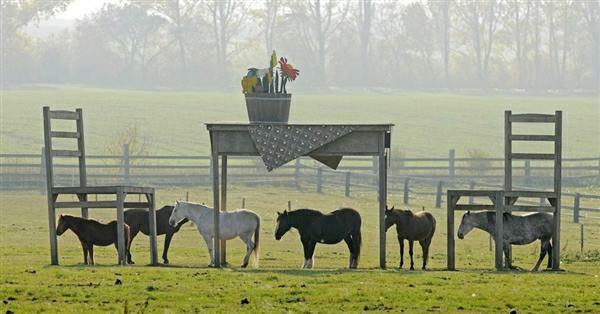 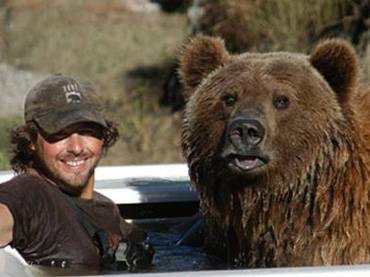 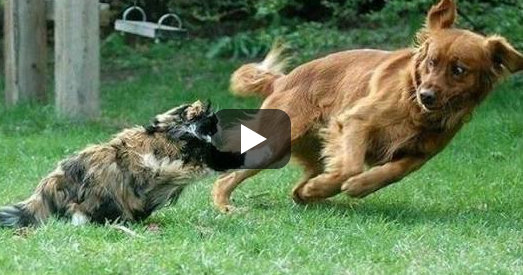 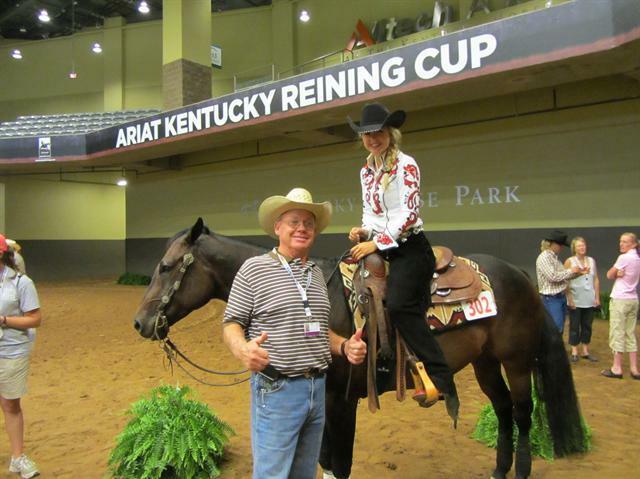 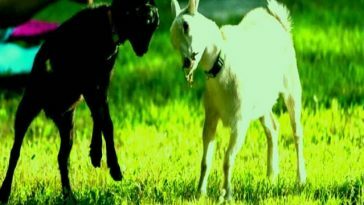 Its really worth watching as it earned them the title of the World Freestyle Reining Champion. 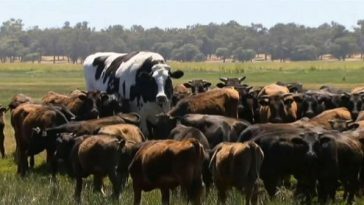 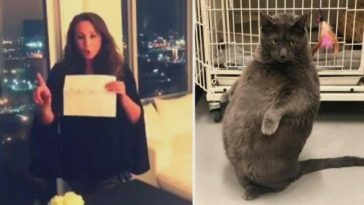 As the music played, Laura and Wimpys Top Model slowly entered into the wide arena. 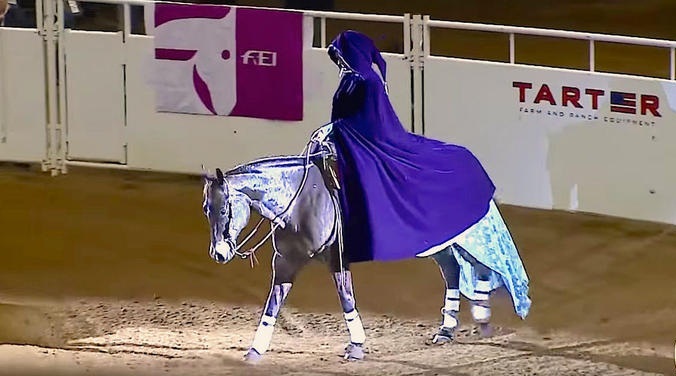 The young lady then removed the purple cape, which revealed her beautiful flowing and sparkling gown as well as her incredible horse. 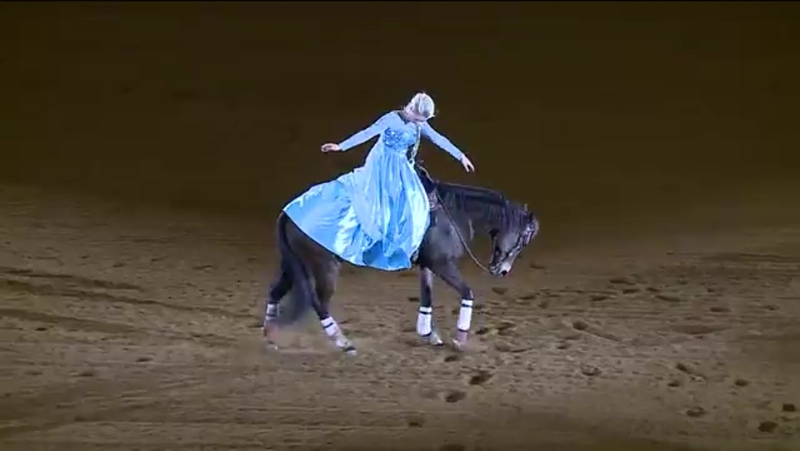 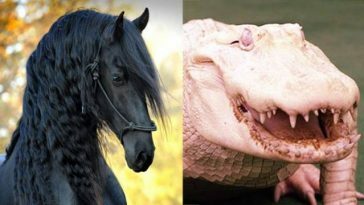 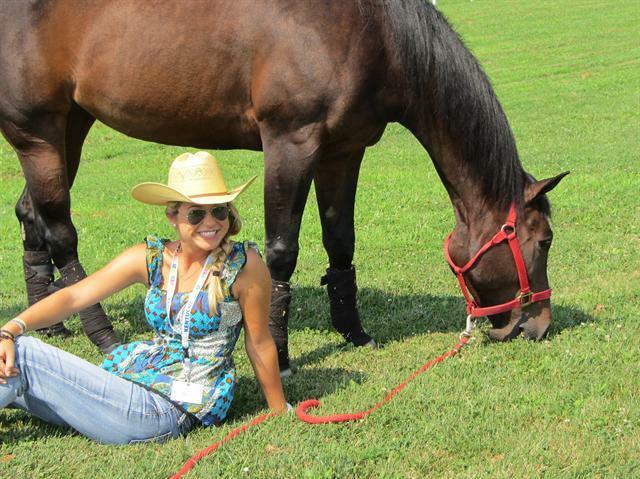 Throughout their performance, Laura was able to handle Wimpys with confidence and comfort, resulting in a great harmony between her and the horse. 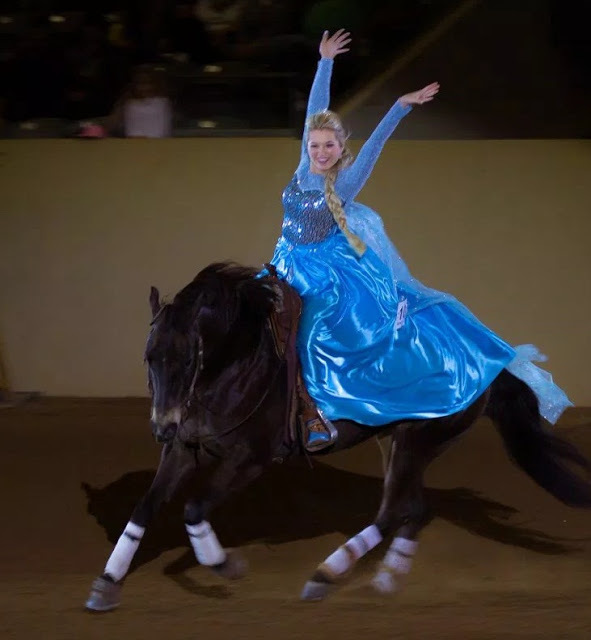 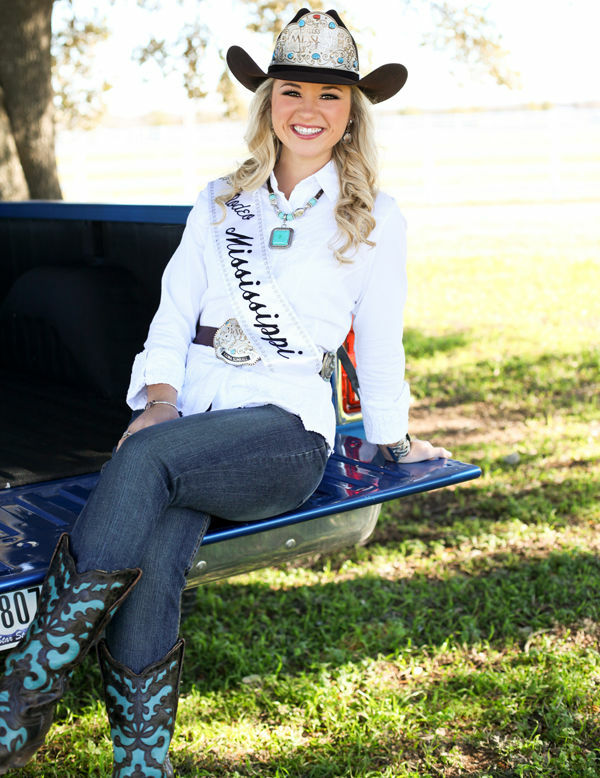 Although Laura is currently the senior captain of the women’s equestrian team at Texas A&M University, it was her mother who came up with the Frozen concept.